When I decided that I wanted a Clumberdoodle, I set out to find the ideal pooch for me. I saw the perfect doodle, who was part of the most adorable litter of baby Clumberdoodles. 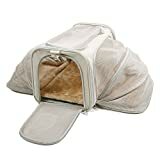 I duly selected my fur baby and prepared for him. Now, you may think this was an open and shut case, but no, it was not. I live in Spain and Bentley was born in the UK. I visited my fur baby and the owner, and together we worked out a plan for Bentley to come to Spain and live with me. Although this is by no means the problem that it was ten years ago, there were still several hoops to jump through. I have outlined them here. 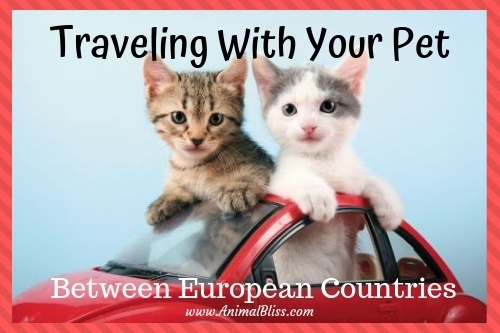 What is important to realize is that traveling with your pet between European countries can be done. All it takes is a little organization and a lot of patience while you wait for him to arrive! For an animal to get a passport, they need to be at least three months of age. Therefore, I had to leave Bentley where he was for several weeks until he reached the required age. For this, I was charged extra by the owner of the litter. She h she did house train him while he stayed the extra time. He had to be permanently identified by a microchip which had to be approved to ISO standards. The vet who checked out the puppies did this for me. Bentley also had to be vaccinated against Rabies. Once these three things were in place, a passport was issued to Bentley’s owner on my behalf. Bentley was legal to travel! You need to wait 21 days from the date of the Rabies vaccination otherwise it does not count, and your pet will not be allowed into any other country. It is up to you (or in my case the original owner) to check that the vet has correctly recorded the microchip number on the vaccination record. If you are returning to the UK from Europe, your dog will need a tapeworm treatment any time between one and five days before you are scheduled to arrive back in the UK. 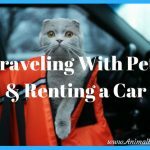 What if my pet travels alone? If, as in our case, your pet travels alone you will need to sign a ‘Declaration of owner not accompanying pet during its journey.’ You can download this from the Defra website. 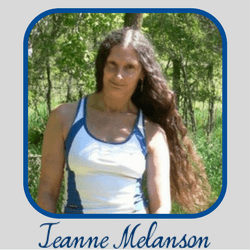 The declaration and the passport need to stay with your pet at all times. If it cannot be produced at any border, the carrier will be charged for further checks, and your pet may even be refused entry. That’s not a pleasant thought so make sure whoever brings your pet knows this. 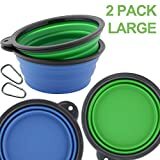 Any reputable animal carrier will know all the rules, but I made sure to clarify them to satisfy myself. Flying a pet is a whole different ballgame. Ryanair and EasyJet do not fly animals to Europe although they may make an exception for guide dogs. If you want a list of carriers, then check out https://www.gov.uk/search?q=pets+air+travel. 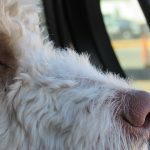 What is it like to take a pet across the border? Well, unfortunately, this is where things can get a little more complicated. But as I said, being organized and knowing the rules will lessen the stress. The main thing here is to do your homework well in advance. Check, and check again, and be sure you know the rules of every country you will pass through to get to your destination. Each European country has its own set of rules. Because Bentley was being driven through France (even though the destination was Spain) he had to comply with the rules in France. Rabies vaccination in Spain is valid for two years. However, in France, it is only valid for one year. Therefore, you must be within the time frame when you arrive at the French border. Otherwise, your dog will be denied entry. Another thing to remember is that some countries have a whole different set of vaccinations. For example, Switzerland requires your dog to be vaccinated against Distemper. If it is you driving your dog across the border, make sure you have all his paperwork at hand so that you are not scrambling around for it. Make a pit stop well before you reach Customs. Take your dog for a walk, let him have a pee and a runaround. Customs stops are stressful enough without having a whining dog in the back who you know wants to pee! 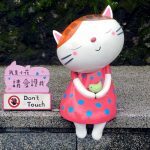 Is it difficult to get a pet passport? Once you have fulfilled the requirements, it is easy to get a passport in the UK. The cost is around £75, depending on where you are traveling. 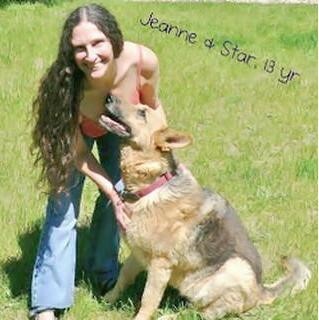 Your dog must be older than three months (15 weeks) to be permitted to travel. The easiest way to get a passport is to call your vet and ask if they can issue one. They will need you to come in with your dog, so they can check the microchip, and give a Rabies vaccination. Once this has been done, you need to wait 21 days before collecting the passport, and off you go. Simple, really. Make sure that all the details are up-to-date and correct. They must match those on the passport. Recorded on the microchip are the name, address, and relevant telephone numbers of contacts. If these do not match, you may be declined entry at the border. Keeping a pet passport is a very simple thing. It is valid as long as the Rabies vaccination is up-to-date. In most countries, this is every three years, but remember that some are less, like France, so if you plan to travel through that country, you will need to get your dog vaccinated again, even though it may be a year early. 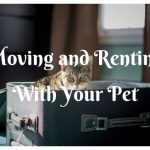 All things considered, traveling with your pet is not as traumatic as it may have been ten years ago when quarantine was still being enforced in some countries. 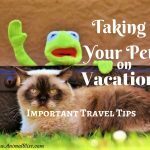 If you are organized and do your homework, have everything in place and ready when needed, there is no reason why your pet should not travel all over Europe with you. 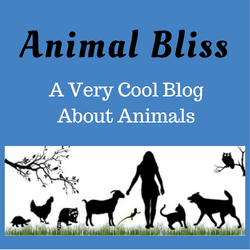 Guest Writer: Valerie Holyoak, often writes about her Clumberdoodle named Bentley, at OfficiallyPets.com. 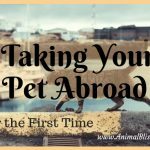 Have you traveled between countries with a pet How was it?